Alfred A. Baumeister, a national spokesman on the need for intellectual disabilities research and former director of Vanderbilt’s Kennedy Center, died March 14 in Tuscaloosa, Ala. He was 76. Baumeister, a professor of psychology, guided the John F. Kennedy Center for Research on Education and Human Development from 1983 to 1990, a period of tremendous change. 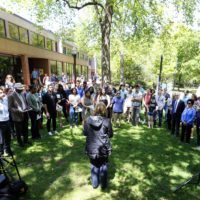 As director, he recognized that the center’s funding would increasingly depend on research in neuroscience, and he expanded center programs to include more investigators from Vanderbilt’s School of Medicine and the College of Arts and Science. Having earned his master of arts in 1959 and Ph.D. from Peabody College in 1961, he joined the Peabody faculty for the first time as an assistant professor of psychology in 1961. He returned to Peabody in 1973 as a professor of psychology, where he also served as director of the Institute on Mental Retardation and Intellectual Development. 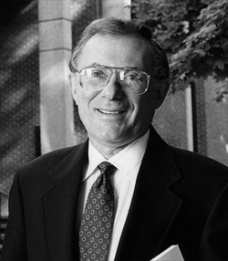 After stepping down as Kennedy Center director in 1990, he continued to serve on the Peabody psychology faculty until his retirement in 2000. Born July 25, 1934, in Fairbanks, Alaska, he received his bachelor of arts from the University of Alaska in 1957. In addition to his time at Peabody, Baumeister served on the faculties of Central Michigan University from 1961 to 1965, and the University of Alabama from 1967 to 1973. Baumeister’s contributions to the fields of intelligence theory, developmental disabilities, epidemiology and ethics in genetics are known through his more than 230 publications, his service in federal policy making and the many awards he received. He was a distinguished consultant to a variety of organizations such as the White House Policy Committee (1986) and the President’s Committee on Mental Retardation (1984 to 1996). He received the Humanitarian Award from the Tjossem Institute (1986) and the Dorothea Lynde Dix Humanitarian Award (1991). He also received the Research Career Award from the American Academy of Mental Retardation (1986), the Distinguished Research Award from the Association for Retarded Citizens of the United States (1988) and the Edgar A. Doll Award for Research in Mental Retardation from the American Psychological Association’s Division on Mental Retardation (1991). Within Vanderbilt, his notable contributions were recognized by the Alexander Heard Distinguished Service Award (1986), the Harvie Branscomb Distinguished Professor Award (1987) and the Peabody College Distinguished Alumnus Award (1991). The Tennessee Department of Mental Health and Mental Retardation awarded him its Outstanding Professional Service Award in 1986 and a Distinguished Service Award in 1988. He was preceded in death by his parents, Elfrieda Kessel Mueller Baumeister, Arthur Mueller and Max Baumeister. He is survived by his children, Alan Baumeister (Jeannie) of Baton Rouge, La., Julie McLemore of Daytona Beach, Fla., Lisa Towers of Thousand Oaks, Calif., and Richard Baumeister (Tim Apuzzo) of Mineral Point, Wis.; 12 grandchildren; 10 great-grandchildren; and special friends, Pam Woodley and Willie G. Sands. A private memorial service was to be held on Saturday, March 19, at his home in Tuscaloosa. The family requests that memorial donations be made to the RISE School, c/o The University of Alabama, P. O. Box 870305, Tuscaloosa, AL 35487 or the charity of one’s choice.